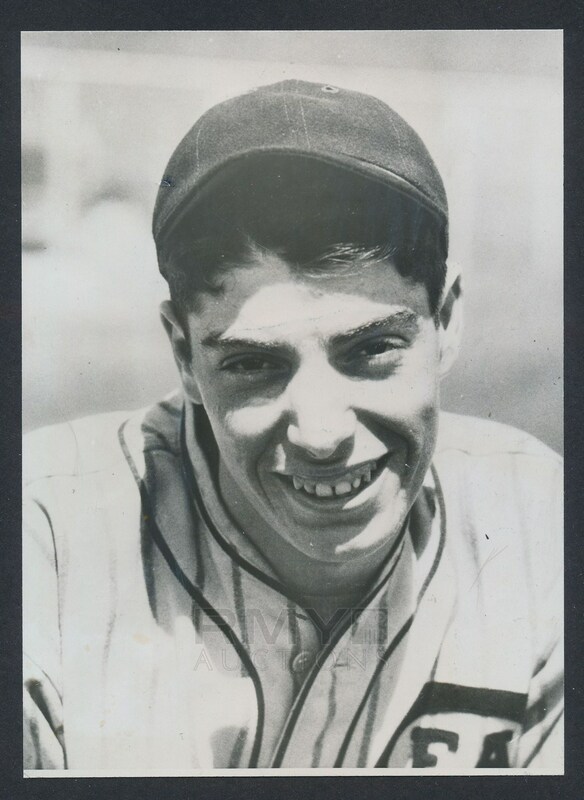 1933 Portrait photograph of rookie Pacfific Coast Leaguer Joe DiMaggio in uniform with the San Francisco Seals and all smiles after hitting in his 49th consecutive game. 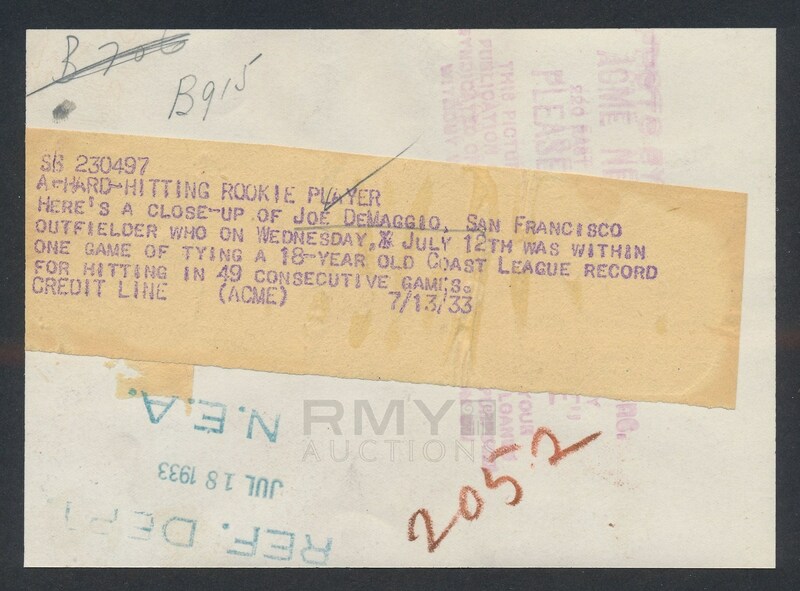 One of the earliest images of DiMaggio in uniform, issued by Acme and with a full paper caption on the back, this is one of his most important images we have ever had the pleasure of offering! The condition is perfect on this image and it is the only known copy that we have personally handled.